Clissie McKinney Arnold, 85, wife of Richard Allen Arnold, died Wed., Sept. 12, 2018. Born Sept. 23, 1932 in Nicholasville, KY, she was a daughter of the late William and Ella McKinney. Survivors other than her husband are one son Anthony Arnold; three sisters, Nancy Arvin, Dovie Freels and Onie Bailey; and a brother, Lee McKinney. Funeral service will be 12:30 p.m. 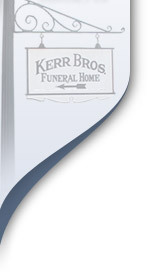 Mon., Sept. 17th at Kerr Brothers - Main St. Visitation will be prior starting at 11:30 a.m.